Delta congratulates its Brazilian partner GOL on being the first South American airline to launch an onboard Wi-Fi service, allowing Delta customers who connect on GOL seamless access to Wi-Fi on their journey. GOL’s first connected flight took off from Sao Paulo and flew to Brazil’s capital, Brasilia, on Tuesday. 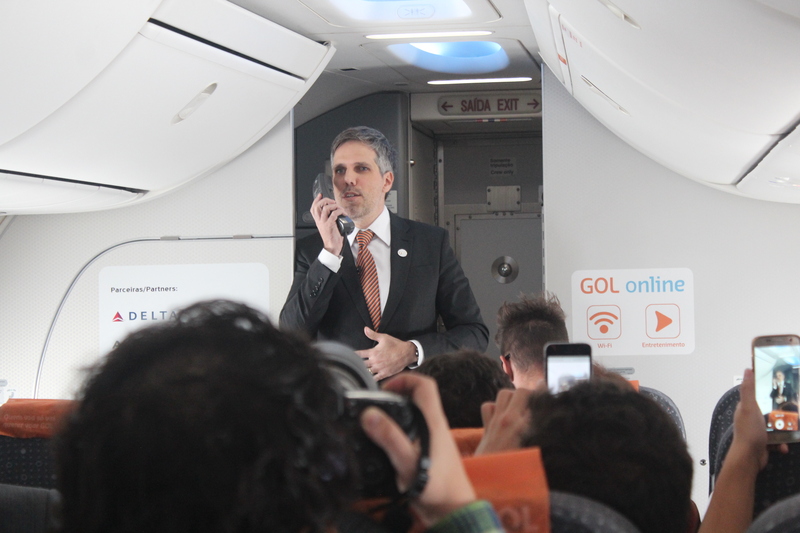 GOL President Paulo Kakinoff traveled on the flight to announce this new service milestone to customers in person, a video of which has been shared on GOL’s social media channels. GOL now offers next generation 2Ku satellite-based service on the airline’s fleet, powered by Gogo satellite technology. The Wi-Fi service is expected to deliver peak speeds more than 20 times the bandwidth of the first generation air-to-ground solution, pioneered by Delta and Gogo in the U.S. seven years ago. Delta is leading the industry, operating the world's largest 2Ku satellite Wi-Fi–equipped fleet, including its entire fleet of 660 domestic mainline aircraft. More than 1,000 Delta aircraft, including nearly all Delta Connection two-class regional jets and 99 percent of its long-haul international fleet, are equipped with onboard Wi-Fi, offering about 370,000 customers on more than 3,500 flight in-flight internet access each day.